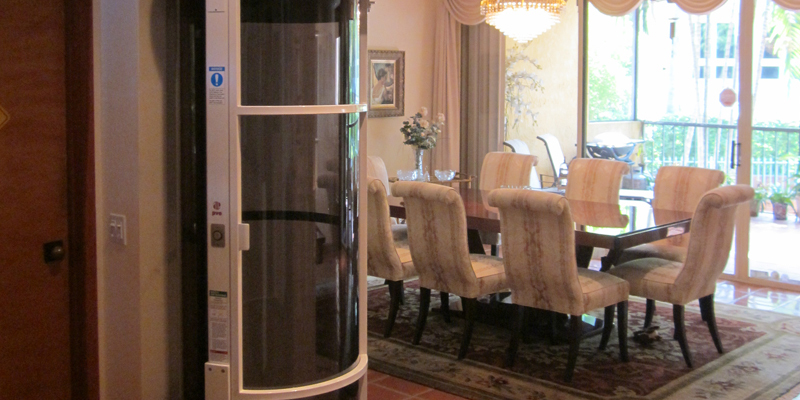 Personal elevators offer your home great convenience. Pneumatic elevators are also known as vacuum elevators. Many of us just think of elevators as elevators. We are not breaking down the differences or the technology used in different models. We are simply happy when they work and keep us from having to use the steps. For some, elevators go beyond luxury and become a necessity. This is where home elevator technology can be helpful to people with limited mobility. The advantage of a vacuum elevator for a home is the flexibility offered by a vacuum elevator. These elevators can often adapt to the size of a home. This means you don't need to be in a "mansion" to install a vacuum elevator. As we'll find out, a vacuum elevator may have less moving parts than a "traditional elevator", but this does not mean you will sacrifice convenience or comfort. Generally, vacuum elevators will travel at a speed of about 30 feet per minute, or less than a mile per hour. The speeds can vary depending on the make or model of the elevator. The ride in a vacuum elevator is so smooth and effortless, you might get the impression you're going a little faster than you actually are. Larger, motor-powered commercial elevators tend to go faster. The smoothness of the elevator ride goes back to the technology behind pneumatic elevators. The elevator is essentially a bubble powered by air pressure when then creates the vacuum effect that powers the elevators between floors. This means there are no pulleys or cables. Unlike traditional elevators, there is no need for a hoistway or a pit. Even the smaller models of vacuum elevators operate around that average speed of 30 feet per minute and allow for stops between two and four floors. The vacuum powers the elevator. Steel brakes secure the elevator cab to the landing once the elevator reaches its destination. If you are thinking about buying a vacuum elevator, information is vital. Talk to an elevator dealer and ask question about pricing and installation (easier than you might think). The travel speed and adaptability might be perfect for your home or small business.